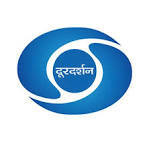 Doordarshan has planned for major expansion plan for DD Free Dish platform. Doordarshan has already upgraded its platform to 104 channels and is in the process of upgrading it further to 250 channels. In line with the ‘Digital India’ and ‘Make in India’, Doordarshan has decided to implement Indian CAS (iCAS), on DD Free Dish Platform. iCAS(which is an initiative of Govt of India) will initially be introduced in 24 MPEG-4 Channels which are in addition to the existing 80 channels. The introduction of iCAS will provide enhanced viewing experience to the viewers. These additional 24 MPEG-4 SDTV channels will be available to viewers in ‘free to view’ mode. The existing viewers will continue to get 80 SDTV channels, however for accessing all 104 channels, viewers will require iCAS enabled authorised STBs. Viewers will have to register with DD Free Dish on getting the new STB from the Doordarshan authorised STB dealer however the DD Free Dish platform will remain ‘Free to Air’ and viewer will not be required to pay monthly or annual subscription. Implementation of iCAS and authorisation of STB OEMs by Doordarshan will give a major thrust to ‘Make in India’ and ‘Digital India’ a mission of Government of India. Presently most of STBs are imported and are not locally manufactured. However, the introduction of iCAS will help in standardization of STBs and encourage quality STB manufacturing in India . For authorisation of STB OEMs, series of meetings were conducted by DG, Doordarshan Ms. Supriya Sahu with her team with the Indian STB manufacturers, DeitY, CDAC, Chip set manufacturers and other stake holders. After active consultation with all the stake holders, Doordarshan has started the process for rolling out MPEG-4 STBs for its DD Free Dish with iCAS. Doordarshan has invited E-Application for authorisation/empanelment of STB OEMs to sell / distribute DD approved CAS enabled DD Free Dish Set Top Boxes (STB) in India. In this regard a pre bid meeting with the Indian STB manufacturers is also scheduled for 3rd October 2016. Once the Indian STB OEMs are authorised by Doordarshan, they will start manufacturing quality STBs in India. They will set up their distribution network all over India for selling Indian STBs and providing services to Doordarshan Free Dish viewers. Doordarshan DTH has also planned to set up customer care service for “DD Free Dish” viewers and has planned extensive complaint redressal mechanism. Does dooshan officers are use DD direct service in his office and home? Because mostly use tata sky. Dish tv videocon sun direct big tv. So my question is when they are not use this service which is established by the DD govt. Of india. If service is good then issue this service in all GOI ministries and deptt. And state govt. And deptt.